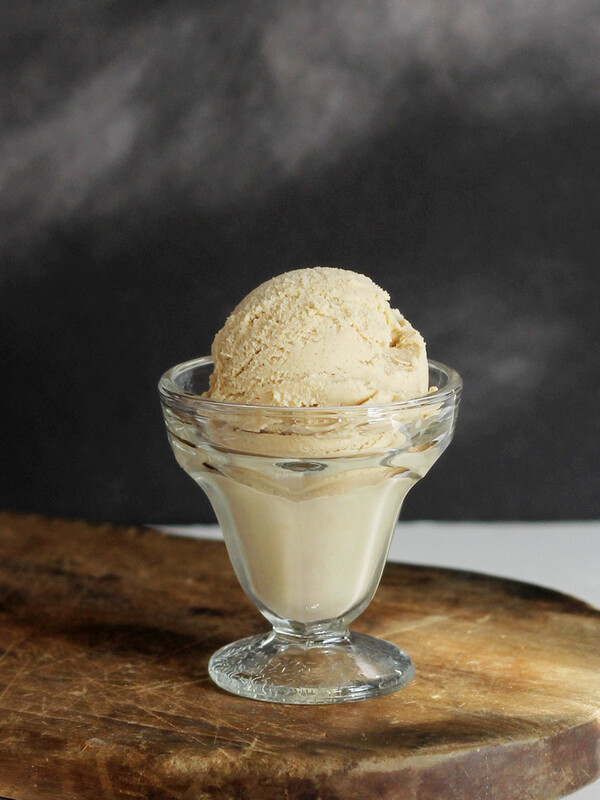 You might have read my coffee ice cream recipe where I used the KitchenAid Precise Heat Bowl to cook the custard. That bowl is the latest KitchenAid attachment I bought, and of course I'm going crazy trying different recipes. This curd is the first thing I tried, and I've made it several times since. It's really good. The reason I chose curd as my first experiment with the bowl is that temperature is really important - it thickens at about 170 degrees ... but if you let the temperature get too high, you end up with lemony scrambled eggs. When I make lemon curd on the stove, I just stir and watch. It works most of the time. 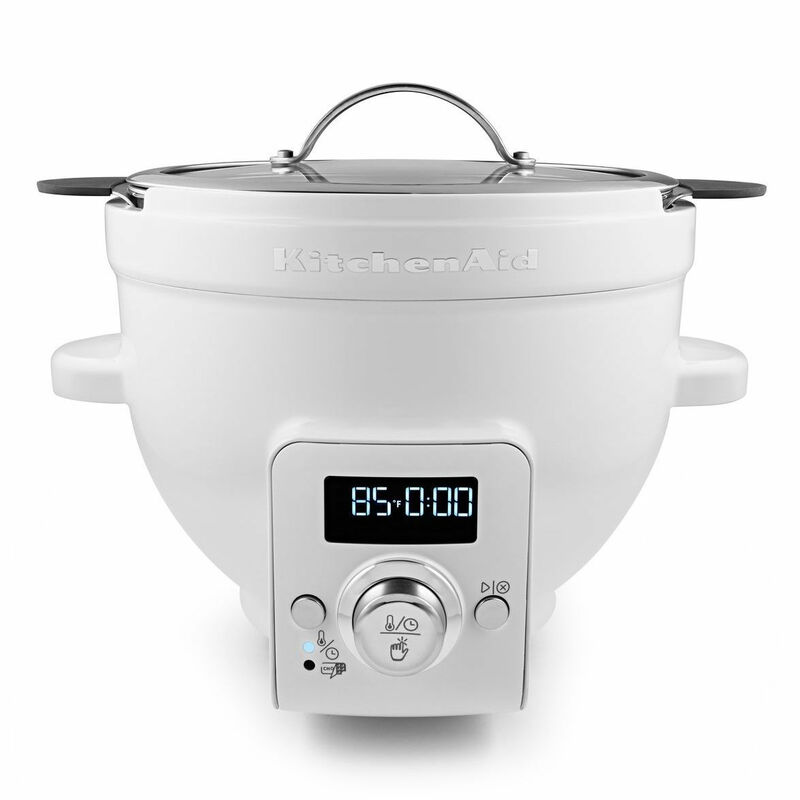 But since the Precise Heat Bowl heats precisely, I figured that I could just let it do its thing, and the curd wouldn't overcook. It all went swimmingly until I had the bright idea that I wanted to use the stand mixer to stir the curd while it heated, just like I'd stir curd by hand on the stove. First, I decided to use the paddle attachment. Oops. With liquid, it was quite splashy, even a the lowest speed. So I got smarter and used the whisk attachment. That worked much better. I tried a couple different heating/stirring schemes before I figured out the fastest, easiest thing to do. One problem I ran into was that stirring lowered the temperature - or at least it thwarted the speed that the mixture heated, so it took a looooong time to get up to 170 degrees. For one thing, you can't have the lid on the bowl when stirring, so heat isn't retained. And I think the stirring itself was cooling the mixture. Then I ran into another weird thing. According to the "back of the spoon" test, the curd was cooked. But when I tested with a thermometer, it wasn't at 170 degrees. I knew it wasn't the thermometer - I use a Thermapen and that sucker is always right. I had to think about that for a while. I wondered if my bowl was defective. I thought about it some more. And then I realized that the bowl doesn't measure the temperature in the center of the mix - it measures the temperature at the edges of the bowl. But that's not a bad thing, really, particularly when making curd. Just like when you're making ice cream and the paddle is scraping the frozen mix from the edges of the bowl to the center, when you use the precise heat bowl and stir, you're pulling the warmer mixture to the center. It cools off a bit there, but that's fine. On the other hand, if you need the entire mixture at the same temperature, you could simply put the cover on and don't stir - or just stir once in a while by hand - until it all reaches the same temperature. But for curd, it doesn't all need to be the same temperature at the same time, and I have to say that just setting it up and letting it go was danged easy. What? Sometimes my inner cartoon character needs to have a word. Put the butter, sugar, and salt in the Precise Heating Bowl attached to your stand mixer. Beat with paddle attachment until light and fluffy. Add the eggs one at a time, beating until well combined each time. Add the juice and zest and mix until combined. Remove the paddle attachment and put the cover on the precise heating bowl (you can leave it on the mixer or not, as desired. Set the heat to 165 degrees. Stir a few times during the heating process, making sure to scrape the bottom and sides of the bowl. When the temperature reaches 165 degrees, remove the cover. give the mixture another stir, and attach the whip attachment to the mixer. Set the temperature to 170 degrees and then timer for 5 minutes. Turn the mixer on to the lowest speed. 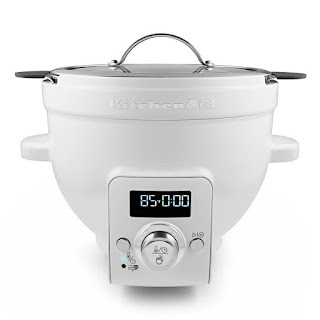 The temperature will initially go down a bit, but will slowly rise to 170 degrees at which point the bowl will start counting down the time. When the time is up, transfer the curd to a container. Let it come to room temperature, then refrigerate. Note: I usually strain curd to make sure there are no lumps, but this was silky smooth. You can strain it, if you like. As a Chicago-born gal, I have a special place in my heart for Chicago-style Italian Beef sandwiches. But making them can be quite a long process, starting with cooking a large hunk of meat, followed by slicing the meat really thinly. For some folks, that's the hard part - the slicing. And and Italian beef sandwich just isn't right if the slices aren't thin. I have a meat slicer, but I'm weird. Most people would have to wield a knife. The annoying part about making Italian beefs at home - for me - is that it ends up being a LOT of food, since it starts with that big hunk of beef. While I do love a good Italian Beef sandwich, don't want to make a month-long commitment to eating it. I want a few sandwiches, and that's it. In Chicago, Italian Beef sandwiches were fast food. They were the thing you ran out to get if you didn't feel like cooking. They were the thing you stopped for on your way from here to there. They weren't fancy. There are shortcuts, though, that make it a lot more convenient. Like using beef that's already cooked and sliced and all ready to meet the rest of the ingredients. This time, I used Oscar Mayer Natural slow roasted beef. They've sponsored this post, but I created the recipe based on what I like. The classic Italian beef sandwich in Chicago has a few options. You can get them with sweet peppers, hot peppers, or both. And you can get them dipped (or wet), which means the sandwich is dunked in the jus or that tasty beefy juice is ladled onto the finished sandwich gets the bread pretty soggy. It's messy, but that's what it's supposed to be. I usually opted for sweet and hot meaning that I wanted both types of peppers, and of course I wanted the bread nice and wet. The sandwiches in Chicago use bread similar to French bread, and much of it is supplied by specific bakeries. The bread is pretty solid before it's dunked, so it holds up well to being soggy. Obviously those specific breads aren't readily available outside Chicago, but you can still make a decent sandwich. The important thing is that the bread needs to be sturdy enough to handle the jus. Hot dog buns would dissolve. French bread or sturdy hoagie buns work well. If the bread is a little stale, it doesn't matter, so this is a great way to use up extra bread that's a tiny bit dry. If you have leftovers, you can refrigerate the meat and peppers in the jus and just reheat gently the next day. The beef isn't the only type of Oscar Mayer Selects Natural you can get - it is available in five flavorful varieties including Slow Roasted Turkey, Applewood Smoked Turkey, Rotisserie Seasoned Chicken, Applewood Smoked Ham and Slow Roasted Roast Beef. 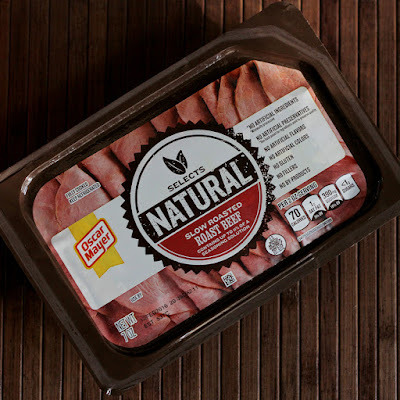 If you're worried about what's in the cold cuts you buy, Oscar Mayer Selects Natural is made with no artificial ingredients, and is minimally processed. Selects Natural has no artificial preservatives (the back side of each package lists the ingredients used to preserve quality), no artificial flavors, no artificial colors, no gluten and no by-products. Heat the oil in a saucepan and add the bell pepper. Cook, stirring as needed, until the peppers are cooked through. These aren't supposed to be crisp-tender - they're fully cooked. Add the stock, oregano, and garlic powder. Bring to a simmer and let it cook for a few minutes so the flavors infuse the broth. Add the beef and cook just to warm the meat - it's fully cooked, so there's no need to cook any longer. Divide the beef among 3 or 4 hoagie rolls, depending on how full you want them. Add bell peppers to each sandwich, if desired. Ladle the jus onto each sandwich. Pass the hot giardiniera peppers at the table for people to add their own, as desired. If you like, you can bring any remaining jus to the table for people to add more, or give them small bowls filled with jus to dunk the sandwiches. Did you know that besides making chocolate, Godiva also makes a chocolate liqueur? What better ingredient could there be for a Valentine's drink, hmmm? While this stuff is pretty spectacular on its own, straight-up or over ice, it also works well in cocktails. But - I have to say - it really doesn't need much! The heavy cream here is for presentation - it floats easily to make a pristine white layer on top of the drink. If you prefer something less rich and don't care about having a layered presentation, you can add milk to the cocktail to make it less rich, or simply add the syrup for the flavor. 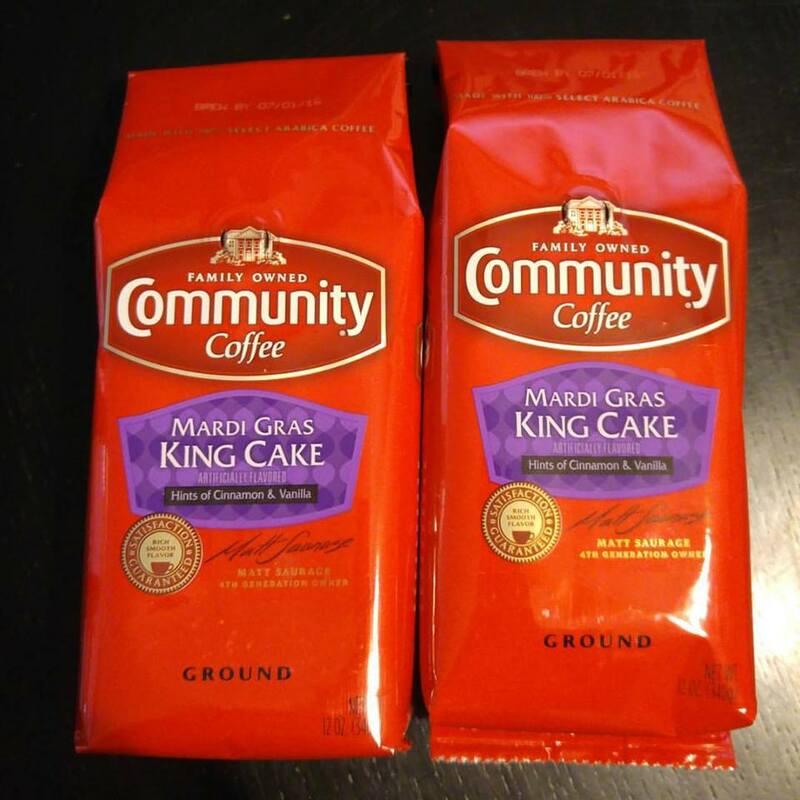 The syrup I used is the same sort that's used to flavor coffee. 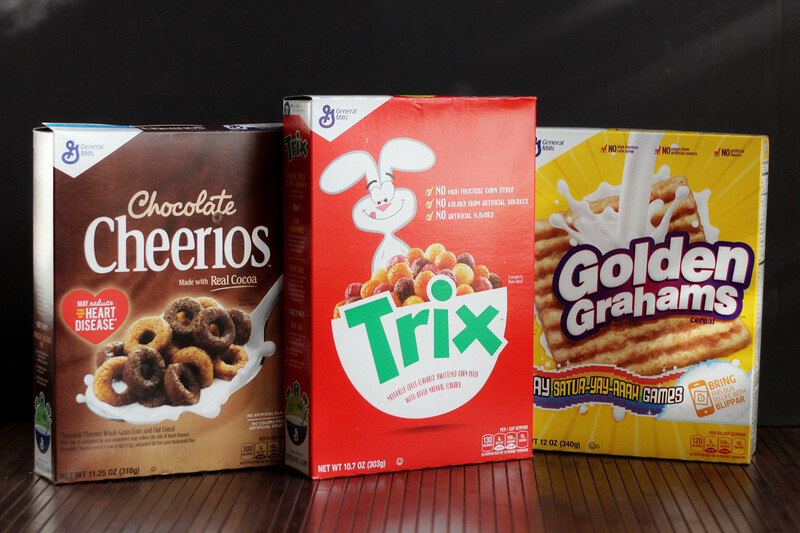 If you prefer, you could use a fruity flavor, like raspberry, or any other flavor you like with chocolate. Caramel, rum, or butterscotch would be fun. Pour the Godiva liqueur into a small glass. Mix the cream with the syrup and gently pour over the top. Serve. I received product for my use in creating this cocktail. 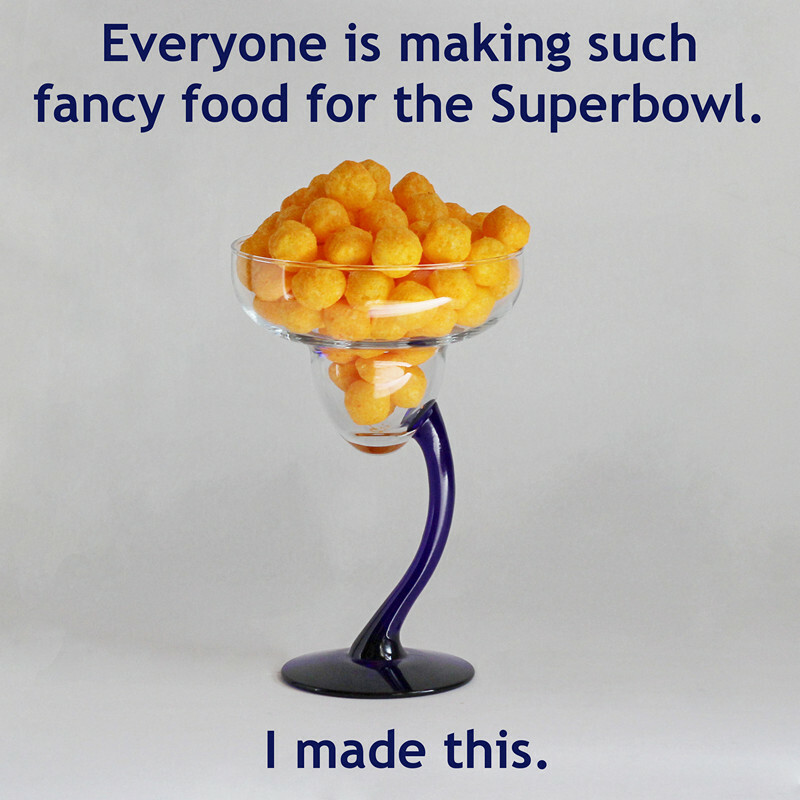 If you look around the web, there are TONS of amazing recipes for snacks appropriate for football-watching. I intended on making something. I really did. Maybe just a cocktail. It was all going swimmingly until I realized that "the big game" is today and not next weekend. So, I leave you with this. I hope you at least get a laugh out of it. I'm sure you'll be able to figure out the recipe, should you decide to make it. Okay, okay, I know that "bahn mi" actually refers to the rolls, so the Bahn Mi Rolls is redundant. I know that. 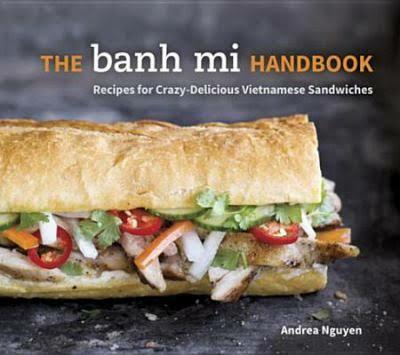 But this recipe was named by Andrea Nguyen, the author of The Bahn Mi Handbook. Ah yes, we Americans have co-opted another word and made it our own. That's what we do. While the intent is to use these rolls to make bahn mi sandwiches, they're good for so much more. Like sub sandwiches, hoagies, grinders, muffalettas, Italian beef sandwiches, or pretty much anything else you want to put on a crusty roll. Leftovers, after a few days, could be sliced into rounds and toasted for bruschetta or crostini. Or cut up for croutons or turned into panzanella. Yup, these are versatile. 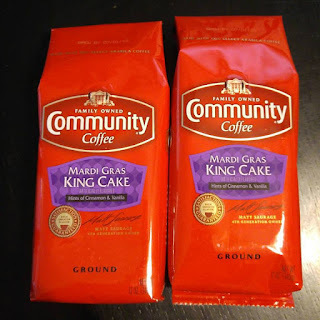 If you like baking bread, I suggest you give these a try. The recipe in the book is quite a bit longer that what I've adapted, with much more detail, including photos that show how to shape the buns. 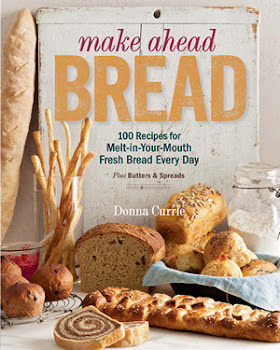 So if you're not super-comfortable with making bread, go check out the book for more instructions. The book suggests using a Vitamin C capsule or tablet, but I used sour salt. It's the came thing, but less trouble. You can find sour salt at some supermarkets and for sure online. It's handy to have on hand if you want to add a little tartness to foods, but you don't want actual lemon or lime flavor. My mom used it for her tomato soup if the tomatoes weren't tart enough. You can knead this by hand, of course, but a stand mixer is sooooo much easier. Put the sour salt, salt, sugar, yeast, gluten, and flour in the bowl of your stand mixer fitted with the paddle attachment and mix on low to combine. Add the shortening and mix until it disappears into the flour. Stop the mixer and add the water. Mix for a minute, or until the dough forms a shaggy ball around the paddle. Let it sit for 5 minutes. Pull the dough off the paddle and attach the dough hook to the mixer. Knead on medium-low speed (2 on a KitchenAid stand mixer) for about 2 minutes, or until the dough is smooth and somewhat firm. Transfer the dough to your work surface. No flour is needed unless the dough feels soft and moist. Knead the dough briefly. When you're done, it should be barely tacky ad not sticky at all. When you press it, it should immediately bounce back, but leave a little indent. Drizzle a little oil on the dough, put it back in the stand mixer bowl, turn it around a few times so it's evenly coated. Cover the bowl with plastic wrap and set aside in a warm spot for 45 minutes, or until doubled. When the dough has risen, uncover the bowl and turn out the dough onto your work surface. Divide it into 6 equal pieces, then form each into a ball. Cover with plastic wrap and let the rest for 10 minutes, then form the balls into torpedo shapes. (The book goes into great detail about how to make this shape, but you can use any method you're comfortable with.) The torpedoes should be 6 1/2 inches long and 1 3/4 inches wide at the plump center. Place the finished rolls on a parchment-lined baking sheet. Cover with lightly greased plastic wrap. I opted to just use a second baking sheet as a lid. Let them rise until more than double. Meanwhile, preheat the oven to 475 degrees. Set up the oven for steaming with a broiler pan or heavy pan on the bottom of the oven (or on a bottom rack, if your oven had exposed heating elements.) Place a baking stone on a rack above the pan. When the rolls have nearly doubled, remove the plastic wrap and let the surface of the rolls dry for the final 10 or 15 minutes. Bring about a cup of water to a boil and keep it warm. Have a spray bottle filled with water standing by. When the rolls are porpoise-like (my favorite description!) slash each each one with a sharp knife, nearly horizontal to the roll at the midline. It should be a very shallow cut. Mist the rolls with the spray bottle and put the baking sheet in the oven on top of the stone. Carefully pour about 1/2 cup of water into the pan, then close the oven door. Lower the heat to 425 and bake for 22 to 24 minutes, or until the buns are golden brown. At this point, my oven malfunctioned, the door locked shut with the oven turned off and cooling down. I had to rescue the rolls using a coat hanger to unlock the oven. So I didn't finish the rolls according to instructions. Instead, I took the par-baked and cooled buns to a neighbor's house to finish baking. Fortunately, it worked just fine. If you're not dealing with a dead oven, turn off the oven when the rolls are done, leaving the rolls inside for another 8 to 10 minutes to brown and crisp a little more. Let the rolls cool on a rack for at least 45 minutes. I have to admit that I've never actually eaten a bahn mi sandwich, so I can't really say if these buns are right or not. But they are really good. 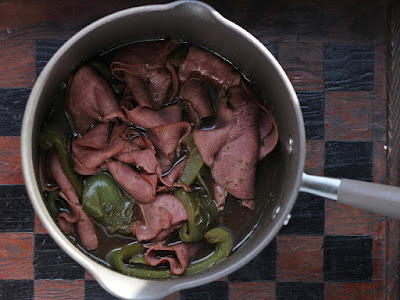 I have a pate recipe bookmarked, as well as pickles. Both are traditional on bahn mi. When those are done, I can make a sandwich. But to be honest, the pickles and pate and bread all look like I'd find other uses for them aside from sandwiches. And this bread? Yes, I'll make it again. Well, I will when I have an oven. Considering the narrow subject matter of this book, there's a good variety of recipes. There are sandwich ingredients, like the bread, pickles, and pate, but also mayonnaise, sauces, sausages, and terrines. Then there are sandwiches. And finally, non-traditional bahn-mi-like foods, including a bahn mi salad. So even if you don't want to make a lot of bahn mi, there are recipes you can use for other purposes.